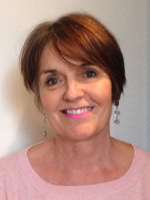 I am a senior BACP relationship counsellor and psychotherapist. I offer long both long and short term therapy for couples and individuals who are experiencing problems in their relationship. My approach is psycho dynamic , which means I try to help couples and individuals understand patterns that may be repeating in their relationships that they do not fully understand. I offer a safe and confidential setting for couples and individuals to start to explore the difficulties that they feel prevent them from moving forward and to help them gain a greater awareness that leads to positive development within themselves and their relationships. I have over thirty years of experience in working with couples , within the NHS and in private practice.